The vehicle was spotted in the parking lot of an apartment complex in northeast Charlotte Monday afternoon. CHARLOTTE, N.C. — A Maserati was found and a suspect is now in custody days after it was stolen in an armed robbery caught on-camera. Officials say the vehicle was spotted by police in northeast Charlotte, and the person who stole it is in custody. Multiple Charlotte-Mecklenburg Police vehicles were spotted at the Citiside Apartments off Eastway Drive and The Plaza in northeast Charlotte Monday afternoon. Officers searched a wooded area behind the apartments before the suspect was taken into custody. Police sources told NBC Charlotte that the arrest was made in connection with the theft of a Maserati from the Gulf Export car dealership on North Tryon Street on February 8. The person in custody has not been identified. Police said a gunman entered the dealership and demanded a vehicle, taking a Maserati. The dealership owner said the same suspect tried to break into the dealership twice earlier this year. Three days later, and just seven minutes from the dealership, officials found the car and suspect following an armed robbery at a pawn shop. They followed and arrested the suspect at an apartment complex five minutes away. Nina Opoku lives at the apartment complex where the suspect was arrested. She remembered watching video of the armed robbery online. "When you see officers chasing after someone, you just never know how that's going to end," Opoku said. "I'm just glad they caught him, and everybody just left in one piece." Another neighbor, who asked not to be identified, told NBC Charlotte she was shocked to see the heavy police presence in her neighborhood. "I just moved over here too," she said. "It seemed like it was nice. No problems, and here I come back home from work, and I see all this [police], and I'm like, 'Woah!'" The Maserati sustained damage and had to be towed away from the scene. 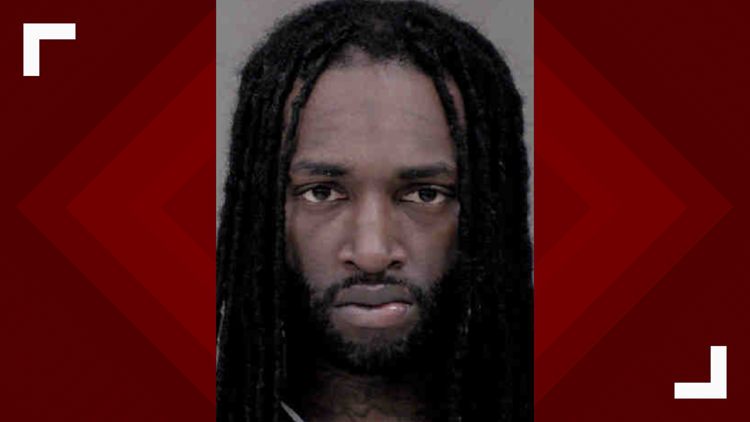 The Charlotte-Mecklenburg Police Department charged 24-year-old Jango Touray in the robbery, but he has not been charged in the theft of the vehicle.